23 Meeting to form East Gippsland Climate Action group 7-9pm Neighbourhood House 27 Dalmahoy St Bairnsdale. At this meeting we will discuss: group objectives/aims, organization details, principles of conduct, action options – there is a range of actions from talking to your neighbours to political actions and the coming election. 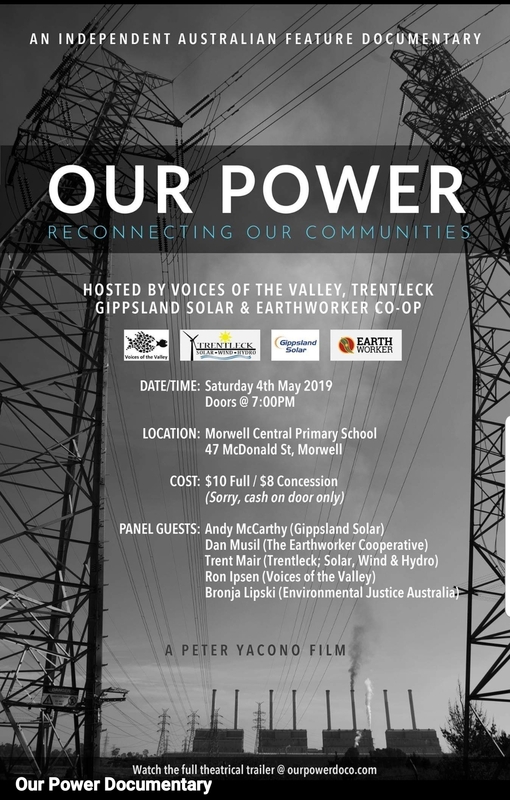 4 Screening of Our Power at 7 PM Morwell Central Primary School. 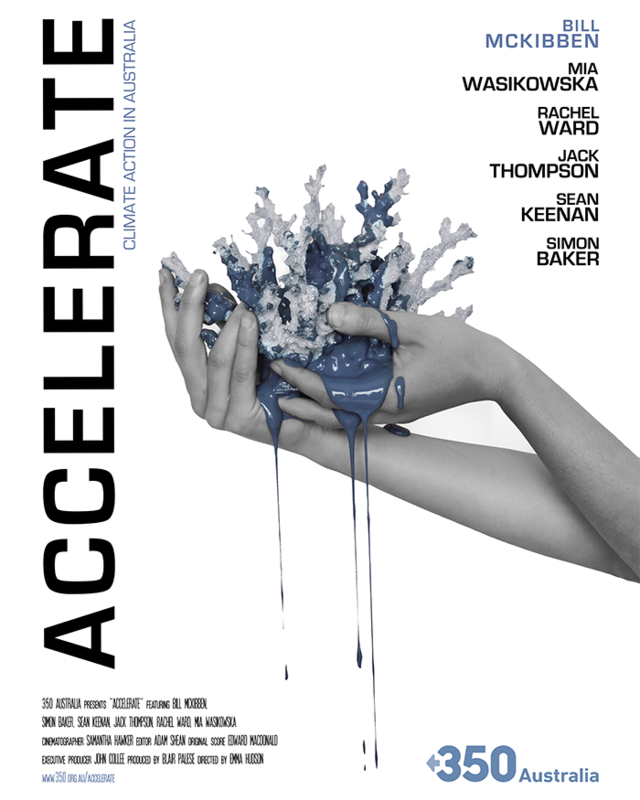 10 Screening of ‘Accelerate’ by Bass Coast Climate Action Network at the Wonthaggi Baptist Church, corner McBride St and Broome Crescent at 6.30pm for 7pm, with supper and discussion afterwards. Contact Maddy.